Kids love to dress up, it's one of the most fun activities that they engage in. 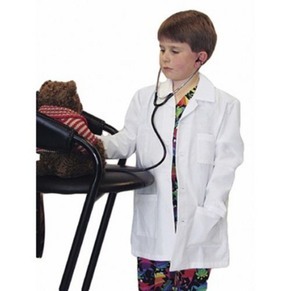 Dressing up in Toddler Lab Coats gives children their first impressions of taking on different roles in life, and while fun, there can be practical elements of the activity as well. Sometimes helping our children chose different costumes can plant the first seeds of a life idea; as well as being fun, certain types of costumes and dress-up play can have practical applications as well, and that's where Toddler lab coats can play a part in many every day activities. 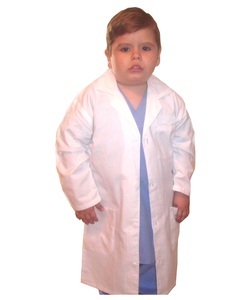 Every toddler doctor or nurse needs one of these authentic Kids Lab Coats!